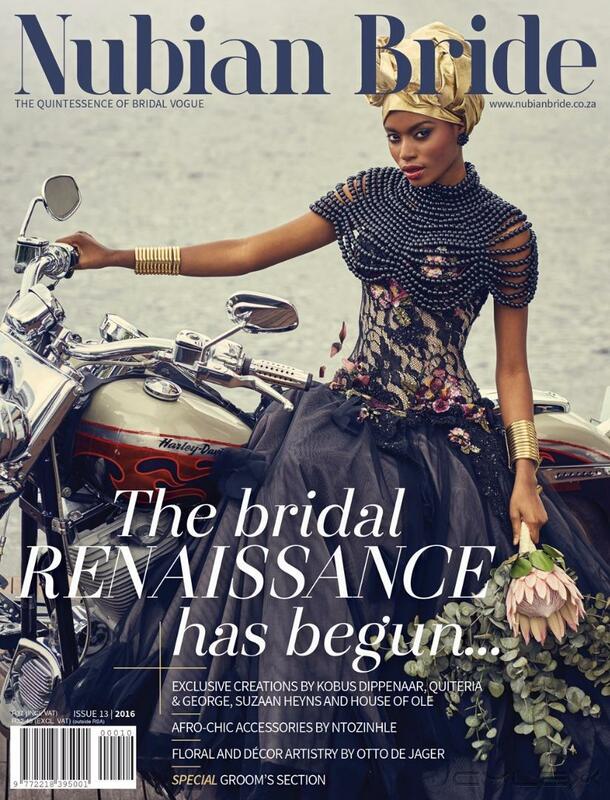 Nubian Bride is the only bridal publication in the industry that caters for the African woman. The publication is dedicated to celebrating all cultures, characters and colours. It offers the sophisticated bride everything she needs to know for her big day, from gorgeous gowns and wedding décor to discussion on traditional wedding customs and where to go for the perfect honeymoon. There is also a lot of advice on making a marriage work from some of Africa’s most beloved personalities. On the cutting edge of African Wedding fashion and design, plus loads of great advice for Brides and Grooms! Best Wedding magazine in Africa! Write a review for Nubian Bride Magazine! Do you know Nubian Bride Magazine? Share your experience - write a review!